I was already planning my dinner as my flight took off for Hyderabad. 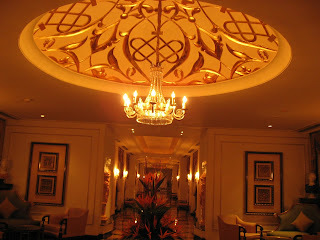 I only had one night in this city of the erstwhile Nizams and wanted to make the most of it. 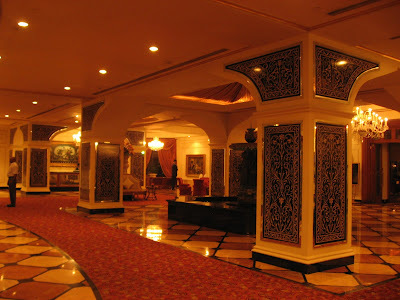 Luckily, The Taj Krishna where I was staying, has an excellent restaurant to try out local delicacies in an regal setting. 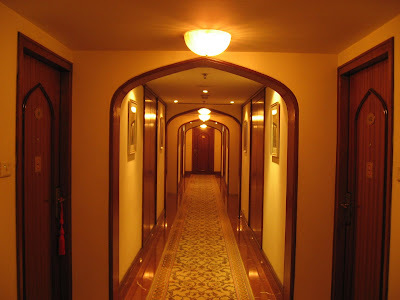 Firdaus is designed to recreate the princely past of Hyderabad with soft lighting, silken drapes, cystal chandeliers, and live ghazals playing in the background. Firdaus, in Urdu, means heaven and the food did take me there that night! I began with Haleem, a preparation unique to Hyderabad and popular during the month of Ramzan (or Ramadan). This is a dish made of whole wheat and mutton that is slow cooked with spices for hours until the meat becomes soft and mushy. It is then topped with mint leaves, saffron, pure ghee and golden fried onions. 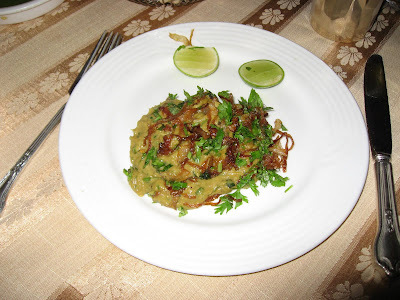 The Haleem was served with lemon slices and sheermal, a speciality Indian bread. 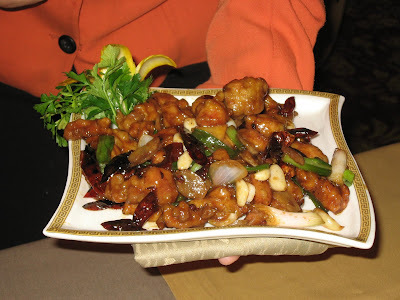 I enjoyed this dish thoroughly, savoring the unusual texture and flavors slowly in my mouth. Next came the biryani, the imposing sounding Kacche Yakhni Dum Ki Gosht Biryani. A classic from the heritage menu of the Nizams, described the menu. 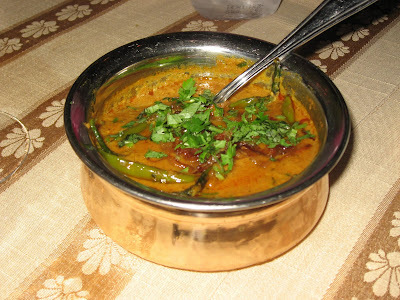 Along with the biryani, I ordered Mirchi Ka Salan, another unique dish from this city made from green chillies in a spicy peanut sauce. Both the biryani and the salan were excellent. The tangy and spicy sauce of the Salan was a perfect compliment to the fragrant Biryani. I ended my dinner with a local favorite, Khubani Ka Meetha. This dessert is made of apricots in syrup and topped with cream. The dessert was very sweet, but very different from the usual stuff! As I waited to sign my cheque, they also offered me a sweet paan to chew on! The waitstaff were exceptional. 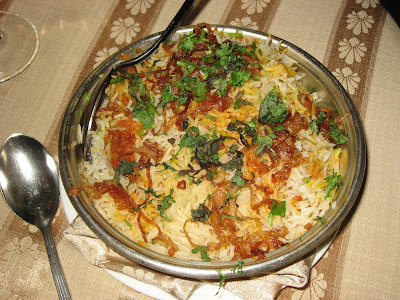 My waiter was from Lucknow, the only other city in India that can claim to have mastered the perfect biryani. We chatted briefly about all the kabab and biryani maestros in that city (I lived in Lucknow for a number of years, a long time back). 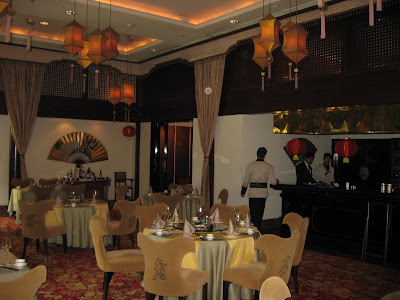 After my meetings on the next day, I had lunch at the Golden Dragon, the Chinese restaurant within the Taj Krishna. 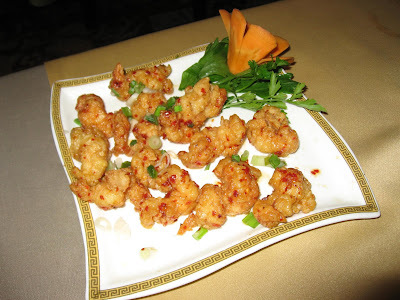 The Daikin Chicken and the Prawns in Butter-Garlic-Pepper were both delicious. 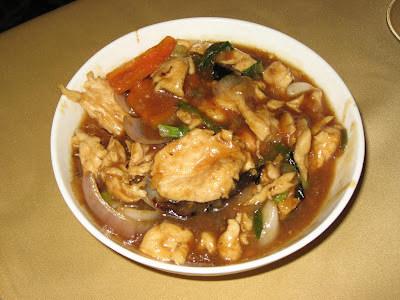 The Princess Chicken and the Vegetable Noodles were equally impressive too. None of us had any space for dessert after that. Since my flight back to Pune was late in the night, I decided to take a detour to the Charminar. 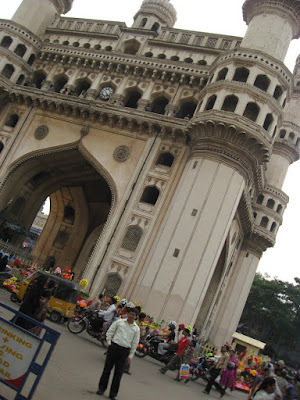 This monument, the most visible symbol of Hyderabad, was built by a sultan in late 16th century. Being only a week away from Id, the Old City was crowded with shoppers. 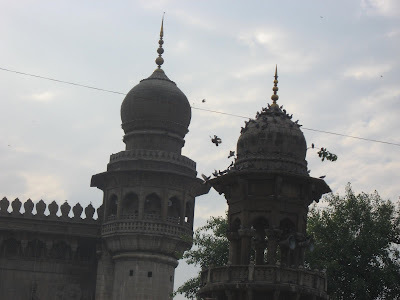 The Charminar is surrounded by other buildings equally old: The Mecca Masjid, another palace that is now an hospital and the Nizam's abode on a hilltop a few miles away. The Mecca mosque is thus named because some of its bricks were brought here from holy Mecca. It is amazing to stand here and imagine how many years these buildings have seen. 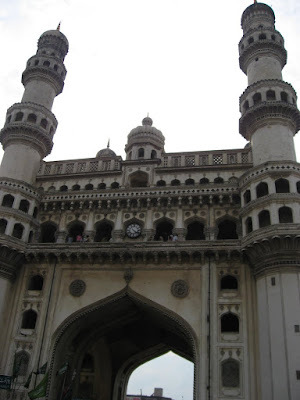 During the time the Charminar was built, and even years later, Hyderabad used to be the only place diamonds could be found in the known world. The Nizams grew enormously wealthy and what's left of their accumulated treasures can now be seen in the Salar Jung Museum. The British looted much of it during their reign in India; the Koh-i-noor, which found a prominent place in the Crown Jewels, originated in the Golconda mines near Hyderabad. My Jet Airways flight back was uneventful. The smaller ATR aircraft actually got us into Pune 30 minutes early at about 10:30 PM. Miracles do happen! Good post. I would have tried haleem and biryani in/ around Madina near Charminar. @lakshmi: I had wanted to visit the Bangle Bazaar (I guess they call it Laat Bazaar); however, seeing the crowds discouraged me....I didn't have that much time. @zishaan: I know, I know....and biryani in Paradise Hotel. However, I just didn't have the time to drive that much for lunch and back. Yea, you really make the best out of it and the good thing for us reader of your blog is that you share it with us. What a lovely hotel and how well you have capture the soft lightening! The food looks delicious too! 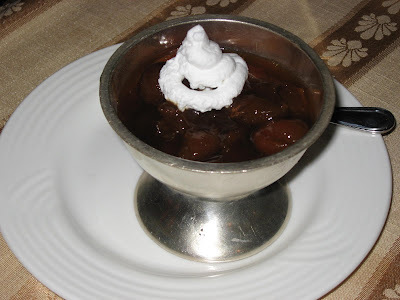 I love sweet dessert so my mouth was really watering when I saw the Khubani Ka Meetha. What great architecture - so different from Norway and Scandinavia you know. 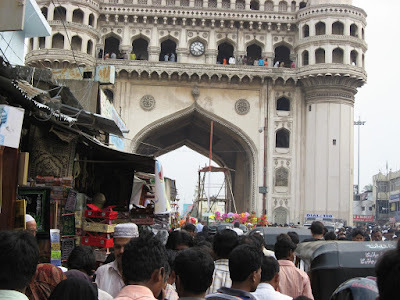 Thanks for taking us with to Charminar too. You've got me thinking of Biryani now... I love that dish! 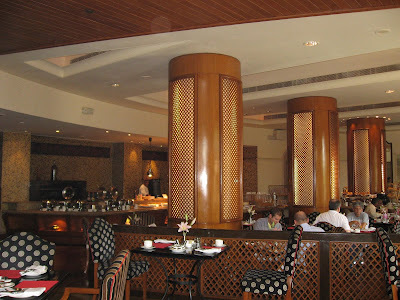 I have strong likings/connections to both Hyd and Lko and simply love their cuisines! @Renny: Thank you very much. The dessert is a little on the sweeter side, but different from the usual Indian stuff. If you love kababs and/or biryani, these are cities of choice. We have biryani here too. Nvr tried b4 cos I have yet to find the vegetarian version. @kyh: Really? I have eaten the Malaysian version of Paratha, but haven't run into the biryani yet. Yummy. I have enjoyed Biryani and Khubani kamittha from Taj. @deepti: I didn't think it looks as nice as it tastes! 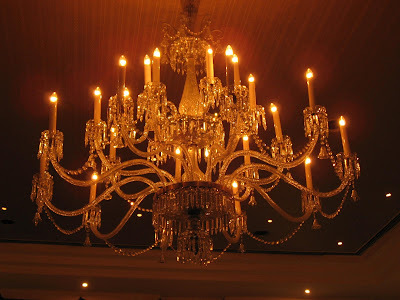 Being an upscale restaurant, they have decorated it a little more than it usually is when served. Do really appreciate of your nice work done by you. Great article. Keep up the good work. 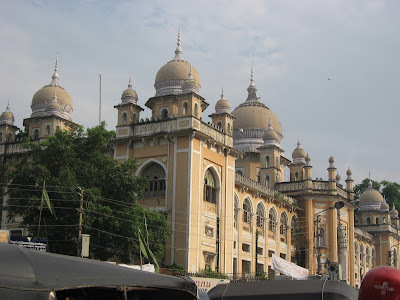 Culture, heritage and especially food represents Hyderabad. All the pictures looks so attractive. Thanks for sharing! !